Interested in using the self-service data analytics functionality of Power BI but are not sure where to start? Interested in Power BI and want to keep your data local as you do not want data hosted in the cloud? This unique class will explain how to deploy Power BI locally with Power BI Report Server in order to provide the capability available for Power BI Reporting on your server, without having to go to the cloud. This two day class is designed to introduce users to Power BI Desktop and learn how to develop reports while using the tips and techniques learned through years of client consulting to provide a scalable analytic solution. The class will include demonstrations and exercises to provide attendees with a through explanation of all the material presented. Knowing how things work in the real world is an important component needed for successful training experience as this provides the ability to answer questions posed outside of the prepared material. Attendees will benefit from having an instructor who has delivered a number of successful Power BI implementations. 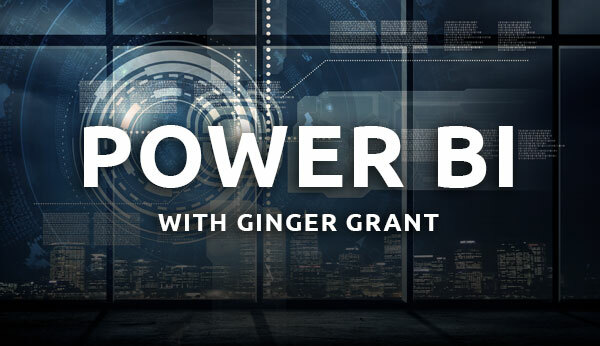 This class is developed and taught by Ginger Grant, a Microsoft Data Platform MVP and Microsoft Certified Trainer. She has many years of experience implementing customer solutions using the Microsoft Data Stack. Labs are included to ensure that attendees have a hands-on learning session to apply the skills learned in class. The primary audience for this course are people looking to use the Power BI Desktop application to develop analytics and data visualizations and deploy them on to a local instance of a Power BI Report Server.